BUFFALO GROVE, Ill. (WLS) -- Buffalo Grove police are searching for two suspects they say robbed a gas station and a CVS Saturday morning. Police responded to a robbery at a Mobil gas station at 1251 North McHenry Road at about 2:25 a.m.
Police said two male suspects entered the store and ordered the clerk to empty the register. 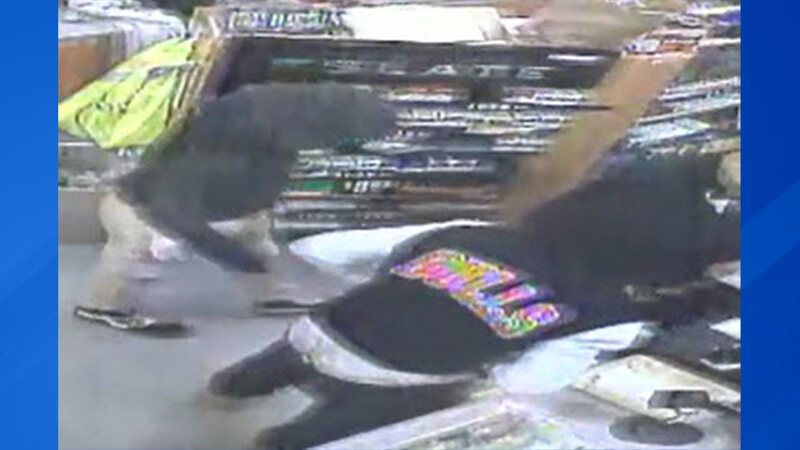 The two suspects left the store in a vehicle after taking approximately $50. While police were investigating the gas station robbery, a second robbery occurred at a CVS Pharmacy at 20 East Dundee Road at about 3:50 a.m. The same two suspects entered the CVS, told the clerk to empty the register, and fled in a vehicle after taking approximately $200, police said. 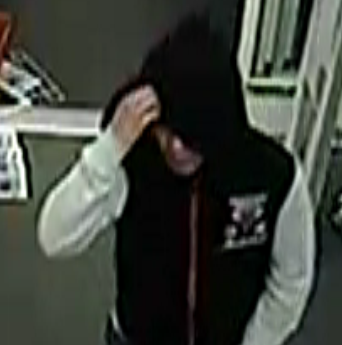 One suspect was wearing a black Chicago Bulls jacket with light colored sleeves with the word "BULLS" across the back, blue jeans, and tan colored shoes. The other suspect was wearing a dark colored hooded sweatshirt, tan colored pants, black shoes with a white stripe on the side, and a dark scarf across his face, police said. No injuries were reported in either robbery. Buffalo Grove police have released surveillance images of the suspects. Anyone with information is asked to contact the Buffalo Grove Police Department at 847-459-2560.